The Google ranking algorithm has been a mystery to many businesses who want to improve their ranks. If you’ve ever tried to do your own research on Google ranking rules, you may have run into a brick wall trying to find one cohesive solution. Because of how large of a database the internet is, keeping track of the content therein can be tricky. To make matters more confusing, Google ranking changes its algorithm on a daily basis to stay up to date with the latest search filtering methods. 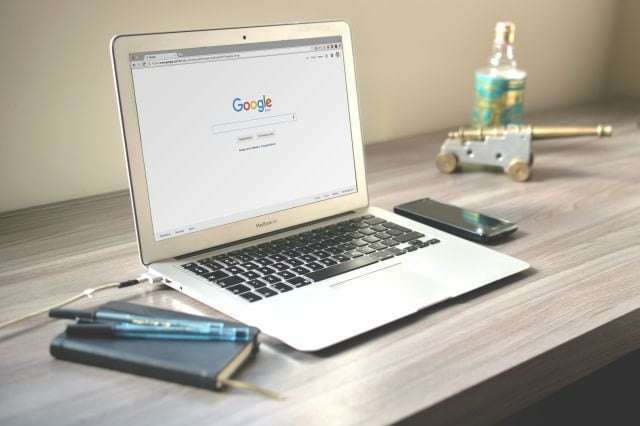 No matter how familiar or unfamiliar you are with SEO, you can learn to influence the way Google portrays your digital content by referring to the following Google rank meaning in layman’s terms. I won’t even try to give you a single equation that encapsulates all of Google’s ranking systems. Countless variations have been given of the Google PageRank equation, Google Ad Rank formula, and overall Google algorithm. None of them are wrong necessarily, but it is difficult to pinpoint exactly what kind of equation Google is using right now. Essentially, the calculations take in various relevant factors to produce the ranking results. Therefore, focusing on what goes into the equation, rather than on the equation itself, is what really matters if you want to get a better Google ranking. Let’s dive into some of the most central factors that affect the Google rank for websites. The truth is, the number of Google ranking factors reaches into the hundreds. The company affirms that there are approximately 200+ factors that affect the Google ranking results. Even though this number may appear overwhelming, every factor is not created equally, and some have much more influence than others. Keyword in the meta description. Content length (the longer, the better). Outbound links to authority websites. Produce original, not duplicate, content. Of course, as Google continues to update its algorithm throughout the years, the reliability of these factors might start to diminish. Google may develop more advanced techniques for determining a webpage’s relevance in the future, which may change everything. But, the future is not now. Now, Google cares about the fundamentals like keywords and links because those are what build websites. Marketers are always coming up with new SEO strategies, and you should definitely experiment with them to see what works for your website. But remember to stick to the basics above all and focus on growing your authority. 1. Regularly update your content. You are trying to prove your relevance to Google. When you update your existing content and upload new content regularly, you build trust and show that your website is serious about providing quality, up-to-date content. 2. Use relevant, trendy keywords. Using keywords is important, but using the right keywords is even more crucial. Use tools like Google’s Keyword Planner or Google Trends to find relevant keywords that are getting the most attention on the internet. 3. Introduce links before content. Many calls-to-action (links to your blog posts, social media networks, or website) occur after relevant content. Instead, placing your links at the top of a paragraph or social media post will increase the number of clicks it will receive. No matter what kind of content you are producing, optimizing it for mobile will maximize its exposure. Mobile Google searches have exceeded desktop searches for a while now, so it’s time for your website to catch up. 5. Keep track of statistics. A simple yet powerful principle. Tracking your website’s and content’s growth, influence, and results allow you to refine your strategy if needed. Analytics tools such as Google Analytics are a great help for recording your progress. SEO is a big deal in the marketing world. In this digital age, the magnitude of your digital influence plays a major role in determining your outreach success. No matter the size of your business, blog, or YouTube channel, understanding how Google search works and manipulating it to your advantage makes all the difference. This article listed only a few of the many techniques you can use improve your Google PageRank, so start now and do some more research as your strategy advances.